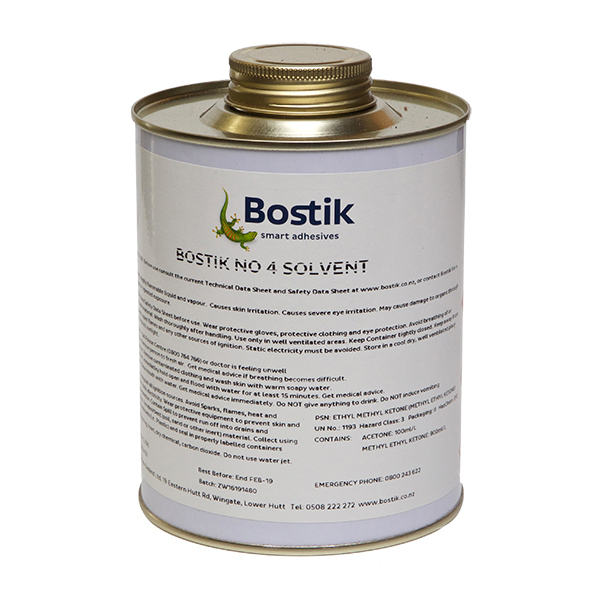 Bostik No.4 Solvent is an ideal degreaser for many surfaces – especially metals and vulcanised rubber. Can also be used for a clean-up and dilution solvent for PU adhesives (Bostik 999 & 777). This is a strong solvent used mainly to thin or reactivate urethane adhesives. Available in 1Litre & 4Litre tins.